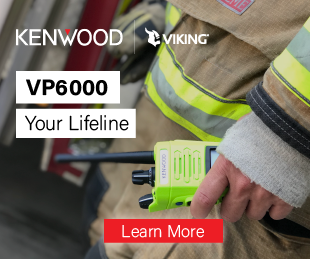 During the past several years, manufacturers of communications equipment have been challenged to unify LMR and Long Term Evolution (LTE) systems. It is important to first understand the standardization activities behind each technology and their interactions. Each of the system standards is created by a different organization. The LTE mission-critical standards are developed by the Third Generation Partnership Project (3GPP), Project 25 (P25) LMR standards by the Telecommunications Industry Association (TIA) and TETRA LMR standards by the European Telecommunications Standards Institute (ETSI). This article explores the status and relationships between the standards development organizations and how they are contributing to interworking between mission-critical LTE systems and LMR networks. 3GPP has been working on a generic specification of an interworking function (IWF) that will allow the 3GPP mission-critical push-to-talk (MCPTT) service and the 3GPP mission-critical short data service to interwork with LMR systems, such as P25 and TETRA. The architecture specification for the IWF was completed in 3GPP Release 15 in March 2018, and the protocol specifications for the IWF are part of 3GPP Release 16. Although the target date for general protocol work in 3GPP Release 16 is year-end 2019, the most recent work plan for mission-critical interworking protocols is targeted for June 2019. As a frame of reference, the First Responder Network Authority (FirstNet) plans to deploy Release 13 MCPTT in the second half of 2019. This technology would not have interworking capabilities with LMR systems. The IWF itself is considered out of scope of 3GPP standardization activities, and the definition of the IWF and the protocol interferences to it from the LMR systems have been left to the respective LMR standards organizations. This is only logical, as LMR standardization bodies best understand the relationship between the interfaces defined in 3GPP and existing LMR systems, and 3GPP does not have scope for LMR standards development. Each LMR standardization body is now working on its own interworking standardization activities to leverage the 3GPP-defined interworking architecture. ETSI, through its TETRA and Critical Communications Evolution (TCCE) working group 4 (WG4), and the Alliance for Telecommunication Industry Solutions (ATIS), through its joint LMR and LTE (JLMRLTE) working group, are taking the lead for the respective narrowband technologies. The ETSI TCCE technical committee has been working on PTT and various interworking specifications for several years. Two technical reports that detail the issues associated with interworking — a general document published as ETSI TR 103 565-1 in 2017 and a second report covering security aspects of interworking in TR 103 565-2 in 2018 — have been published. A technical standard is now in progress. The standard will not be published until after 3GPP has finished Release 16 work, as it is necessary to have a complete set of 3GPP specifications before the relevant TETRA standard activities can be finished. Therefore, ETSI TCCE WG4 has not yet finalized a schedule for publishing its specifications. As far as TETRA interworking is concerned, the 3GPP system will behave as if it is another TETRA system, connected via an Inter-System Interface (ISI). The IWF will carry out address translation so that a user calling from the 3GPP system will appear to be another TETRA user in a different TETRA system, and a user calling from the TETRA system will appear to be another 3GPP mission-critical user to users on the 3GPP system. The Wireless Technologies and Systems Committee (WTSC) within ATIS, currently in a study phase, is focusing on describing the interoperable communications interactions between a P25-based LMR system and a 3GPP LTE mission-critical system. A working group in the WTSC — the JLMRLTE — was created in conjunction with TIA. The JLMRLTE study in ATIS will cover the various LMR system types — P25 trunking, P25 conventional and TIA-603 analog conventional FM. Requirements for the study come from several sources, such as the “National Public Safety Telecommunications Council (NPSTC) Public-Safety LMR Interoperability with LTE MCPTT” final report, as well as from 3GPP requirements for mission-critical interworking with LMR. • Whether interoperability is needed by an agency to support interoperable communications with another agency using a disparate LMR or LTE system. The study by ATIS JLMRLTE is progressing as a draft architecture document called the “Study on Interworking between P25 LMR and 3GPP (MCPTT) Mission-Critical Services” with Motorola Solutions holding editor responsibility. The JLMRLTE draws industry experts including government agencies such as FirstNet, the Federal Bureau of Investigation (FBI), P25 system vendors, and other interested companies and experts from the across the broadband and LMR communities. The ATIS interworking study effort is scheduled to be completed by June 2019. Interworking between the P25 LMR system and the 3GPP mission-critical system is leveraged through the 3GPP mission-critical IWF in a similar way to how TETRA leverages the 3GPP IWF. The ATIS JLMRLTE study on interworking specifically contains scenarios and considerations for using the 3GPP Release 15 IWF. This aligns well with the existing IWF architecture already completed in 3GPP Release 15. The study will address voice services including group call, announcement group call, broadcast group call, system group call and individual call. Additionally, mobility management (group affiliation and registration), supplementary services (emergency alarm and short data services) and call control (group regrouping) are planned. Security of these services — end-to-end encryption and key management — is also part of the study. Following completion of the ATIS JLMRLTE work, identified standards bodies — either TIA or 3GPP — will be responsible for updating their related specifications, if required, within the scope of their respective standards bodies. ETSI is planning to complete a TETRA interworking specification after the 3GPP Release 16 IWF protocol specifications are completed, and ETSI TCCE WG4 has not finalized a publication schedule for its specificaitons. Many existing LMR users are extremely security conscious, which is why LMR includes an end-to-end encryption system. Security will be extended into the 3GPP MCPTT and mission-critical data (MCData) systems so that an end-to-end security path can be maintained. To enable this process, ETSI and ATIS are specifying that encrypted communications be carried unmodified through the IWF to the mission-critical user equipment. The algorithms, keys and codec must be the same at both ends for end-to-end encryption to be possible. Although each side has its own signaling that terminates at the IWF, the IWF will translate the addressing of messages between the two sides while leaving the media unmodified. The P25 standards, TETRA standards and 3GPP mission-critical standards are designed to be stand-alone specifications for their respective systems, allowing much of the interworking standardization activities to occur in parallel within ATIS JLMRLTE, ETSI TCCE WG4 and 3GPP without undue coordination. The mission-critical standards communities continue to collaborate in an effort to realize the interworking of mission-critical voice and data services between an LMR system and a 3GPP mission-critical system. Would you like to comment on this sotry? Find our comments system below. Dom Lazara is a systems architect, standards, at Motorola Solutions. 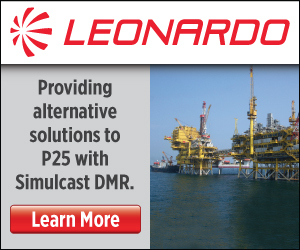 Lazara has more than 25 years of experience in wireless communications technology. He was the editor of the Open Mobile Alliance (OMA) push to communicate for public safety (PCPS) enabler, comprised of 10 technical specifications. He is the rapporteur of several Third Generation Partnership Project (3GPP) technical specifications where he represents Motorola in the working groups of SA6. Lazara is also the editor of a study on interworking in the Alliance for Telecommunication Industry Solutions (ATIS) Wireless Technologies and Systems Committee (WTSC). Most of the work I see going on is for internetworking between Project 25 (P25) trunked systems and mission-critical push to talk (MCPTT). However there are thousands of analog VHF and UHF systems in use in many rural and suburban areas that do not seem to be part of this process. There are some vendor solutions, but many of those are partial solutions. This area is complicated because many of these systems have grown organically and were not designed for some sort of automatic interconnection. Some are complex for the human operators to use, which does not bode well for an automatic system. The owners of these systems often do not have the funding to rebuild or upgrade their systems to make them more interconnection friendly. The sad part is many of these areas could use MCPTT at least in the more populated areas, but the interconnection to their remote sites is a big challenge.